I was going to explain how we found them or, rather, how they found us; what makes them different from other aftermarket barrels, as well as virtually the same; and why they deserve to carry the Double Diamond name. Gold barrels for your custom build? Yeah… we’ve got that. And then the video guys sent me a link to this video where Lenny does a great job introducing them on camera. 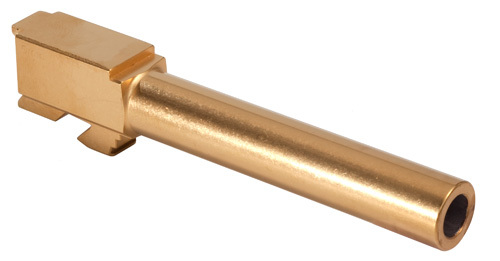 I then thought, since I’d already done my research, that I should write an incredibly long, in-depth email explaining the differences between Glock factory barrels and most aftermarket barrels, including our new Double Diamond barrels. I figured I’d start with explaining why you’d want one kind of barrel over the other… and might well prefer to have both. Ported, compensated, threaded, conversion… we’ve got ’em all. Double Diamond quality at GlockStore prices? Yeah, we’ve got that too! I thought I cover things like whether you really can use lead bullets or not; reloading do’s and don’ts… as it pertains to Glocks; and Custom Glock options with barrels as a central styling point. While I was working on this rather lengthy explanation, the video guys sent me another link to… you guessed it, Lenny doing a ANOTHER great job explaining all of this on camera. 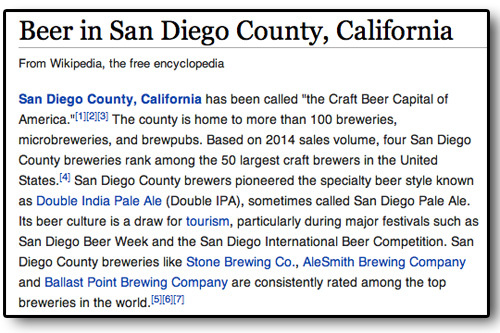 With it being Friday and all… and San Diego being the world epicenter for craft brewing, I initially thought it was about something a bit different. I guess my work here is done. After all, I do believe it’s 5 o’clock… somewhere!